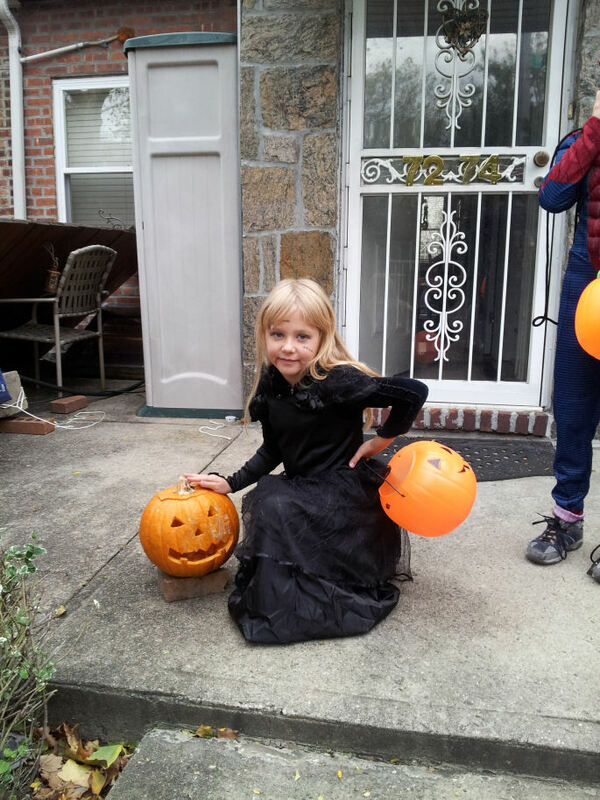 Despite the horrible weather and flooding brought on by Hurricane Sandy my family and I decided it would be good for our spirits to get out of the house and to go trick or treating today. 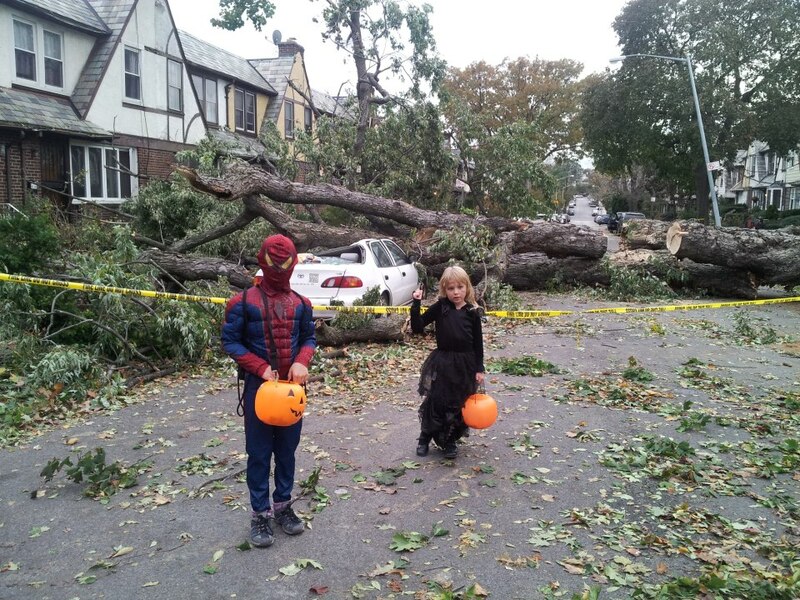 My neighborhood (Forest Hills, Queens) was spared most of the damage and flooding experienced by other parts of NYC. There were a handful of downed trees and some slightly damaged homes but nothing devastating. And since our neighborhood has underground electrical wires we didn’t have to worry about any live wires. My husband and I got the kids dressed in their costumes. 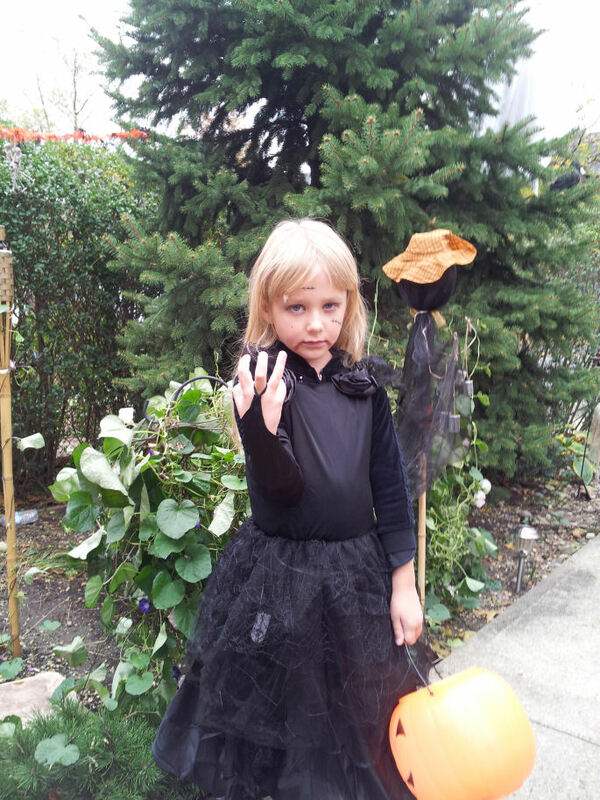 My son was Spiderman while my daughter was a zombie bride. LOL. Our friend met us with her son and their dog along at our house to join us. 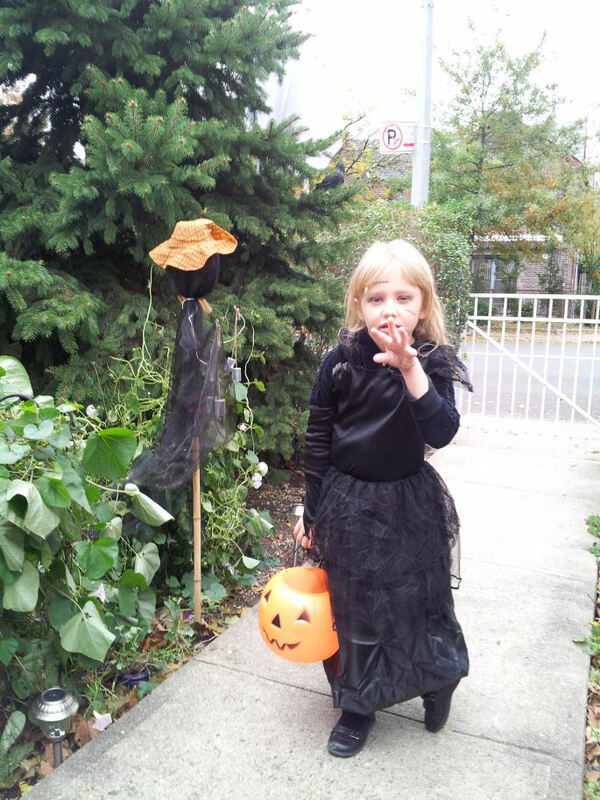 We walked up and down a few blocks and before you know it our kids trick or treating pumpkins were full. 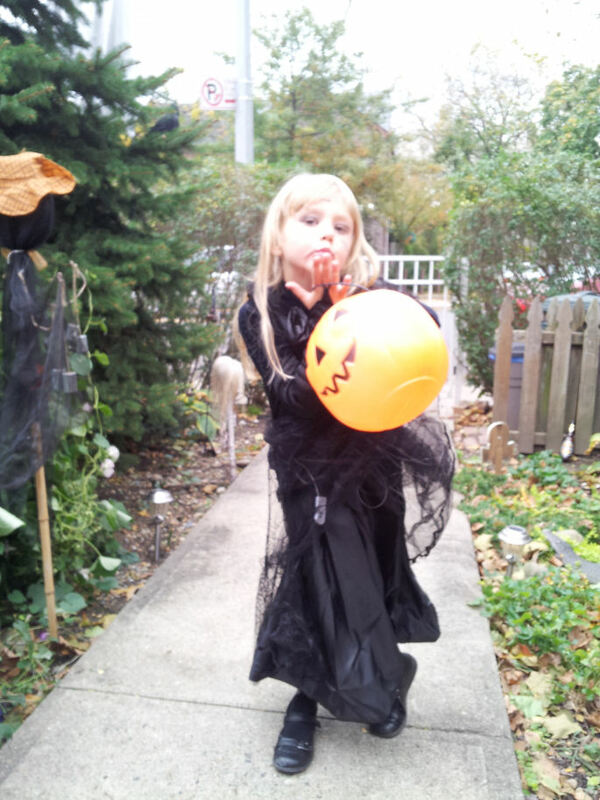 Good thing we took extra bags with use so they could empty their pumpkins and re-load on the candy. It turns out in our neighborhood there aren’t many trick-or-treater’s so most people are very generous with the candy when someone knocks on their door. Once it started getting dark it became a bit chilly. 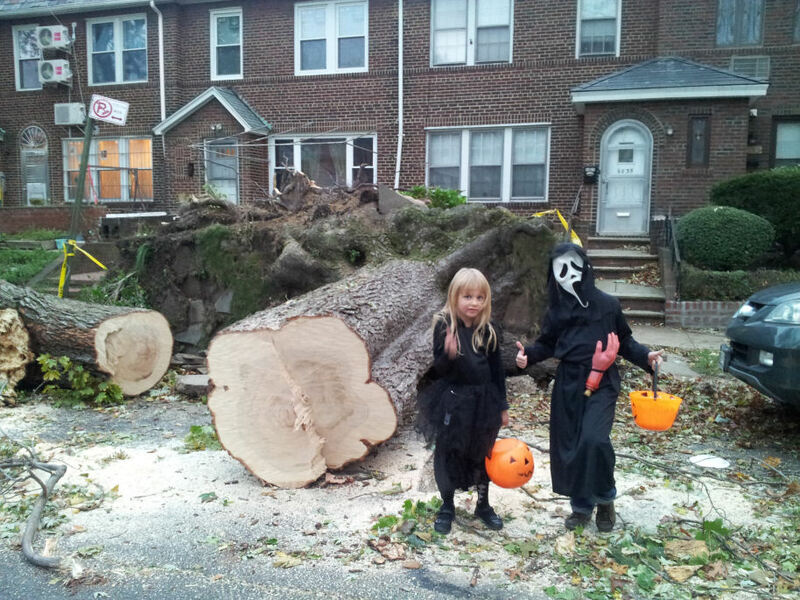 The kids didn’t seem to mind since they were stocking up on candy. I have to say most of the people that answered their doors were very cheerful and happy to see us. It’s almost like days of watching hurricane aftermath photos on the TV got to everyone. 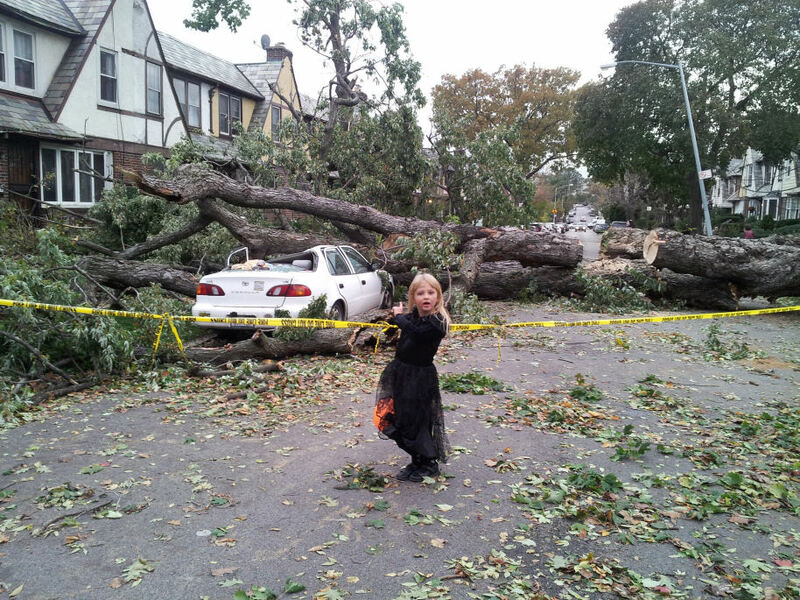 I very much hope everyone is surviving Frankenstorm. My thoughts and prayers with everyone on the cost.